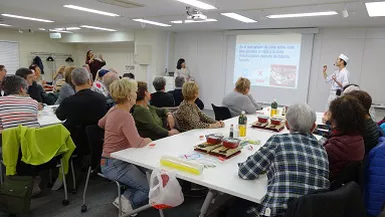 Today over 30 people from Spain took the sushi making lesson while they are traveling Tokyo. This was their first time to experience sushi making. We teach sushi making in Spanish. We are glad they really enjoyed sushi making lesson. Thank you so much for coming today!! © 2016 by Tokyo Sushi-Making Tour. All rights ​reserved.